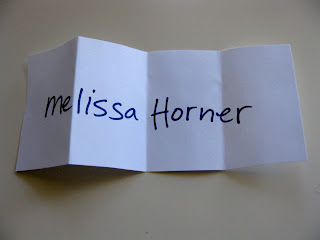 "Back in July I was thrilled to learn I won Britt’s first contest. 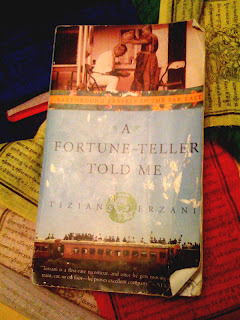 With the prize of a gift certificate for Amazon.ca I bought a book called A Fortune Teller Told Me. Author Tiziano Terzani tells the true story of his year spent travelling the Far East in search of traditional fortune tellers and spiritualists. Whether in bustling metropolises or tiny mountain top villages, he seeks these enlightened men and women who are believed to hold sacred and ancient secrets. Sometimes the stars align and a book falls into your lap that so perfectly suits your temperament you can’t help but let it guide you toward your own adventure. On a piece of paper tucked away between the pages of this book, I quietly planned my very own fantasy trip to the Far East! A fascinating, exciting, and thoughtful read; Let A Fortune Teller Told Me inspire your adventurous side too!" We're getting close to 200 posts, dear readers, and TSS 200th Post Prize is going to be fantastic. Look for contest details, coming soon!! Have a fantastic weekend, story-makers. See you back here on Monday.